Hometown Favorites: Sy Thai, Bucharest, Bi Bim Bab, Taqueria Lupita’s – Eat. Rest. Repeat. I would love to do individual restaurant posts, but there are so many that I love! Here is part 1 of my favorite local eateries. These are my go to’s….the places that I don’t think twice about. They’re always good, and always in my rotation, so here is a brief overview of my favorite spots! There are a few locations of this restaurant around metro Detroit but I prefer to go to the Troy location. You can spot me there 2-3 times a week….yes, it’s that good. 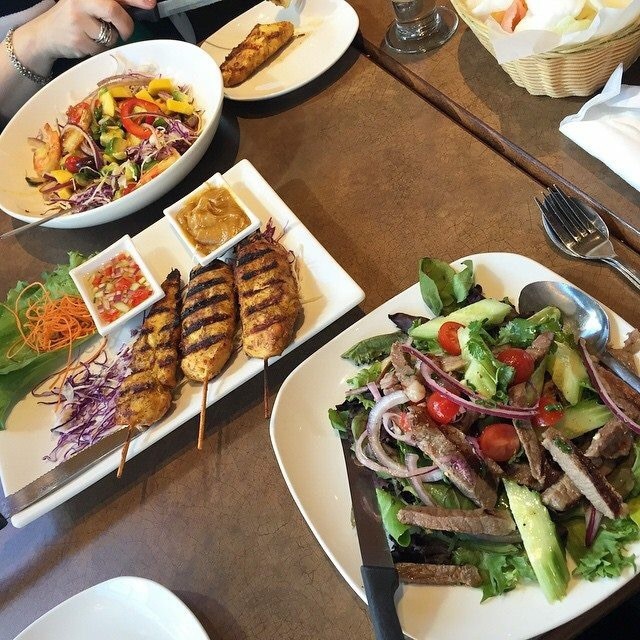 Having a Thai mother, I have always been really critical of Thai food. Most places bastardize it and Americanize everything to a x10 level of sweetness or saltiness. 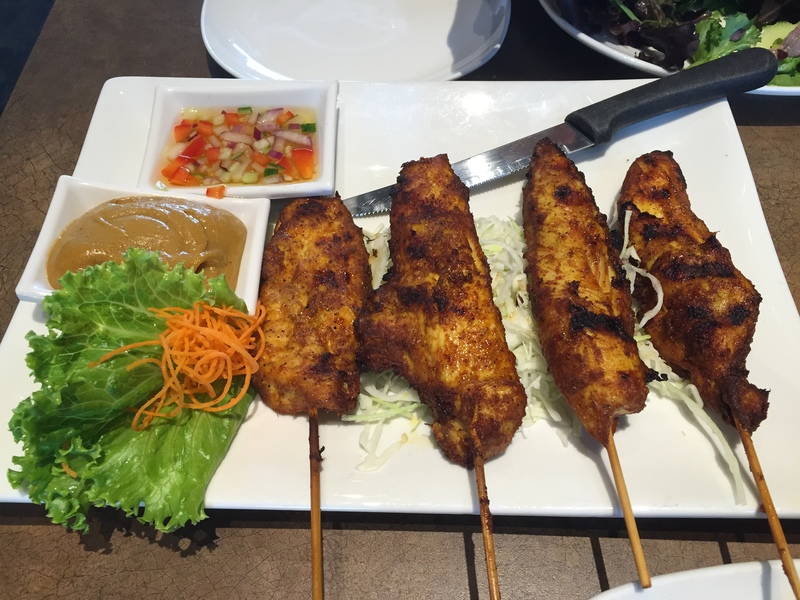 This place gives you a homey taste of Thailand with an upscale feel. Ok, it’s not an upscale restaurant by any means, but architecturally, the atmosphere is MUCH nicer than most hole in the wall Thai places you find. The price tag is extremely reasonable, and their staff is always amazingly friendly. There’s even an outdoor patio! So as for most restaurants, I frequently order the same dishes. The dishes I order here are always guilt free. I say that because when I think of most Thai restaurants, I think of lots of sugary sauces, carbs, and diet UNfriendly dishes. Take my word on these few dishes, and you can eat there every day and not gain pound. Also, might I add, I DESPISE salad. You will NEVER see me order salad ANYWHERE BUT HERE. 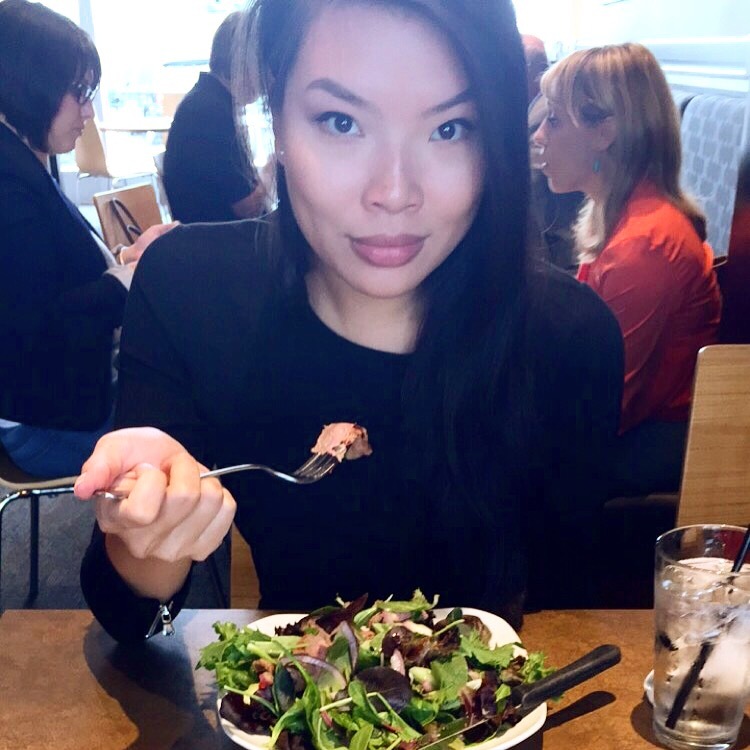 Something about their salads….tastes like you’re indulging in something so evil and naughty, but somehow it is still super healthy! I am not the biggest fan of shrimp, unless it’s the giant prawns in Asia, or shrimp cocktail. This has an amazing sauce, and the ingredients are so fresh, you can’t help but fall in love with it. 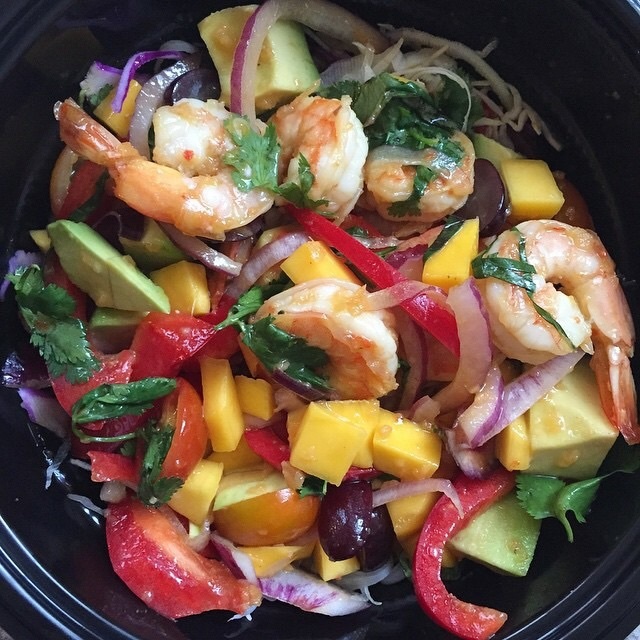 In the salad are grapes, bell peppers, onions, avocado, mango, cilantro, and cabbage. It is not reminiscent of any Thai dishes I’ve ever had, but who cares, it’s DELICIOUS! Holy Hell. I could eat this every day. The steak is always tender and juicy (although sometimes overcooked), the dressing is perfect, and tastes like home. I had been striving to find a place in Michigan that could make a good Thai Steak Salad comparable to what I’ve had in Thailand. This, again, isn’t the exact flavor profile of what I’m used to, but it is so damn good, I’ve adopted it as my favorite dish there. Okay okay, you can get this at any and every Thai restaurant ever. BUT, I doubt it is as succulent or juicy or flavorful as it is here. No joke, some of the best satay I’ve ever had. I’ve eaten Arabic food all over the metro Detroit area. 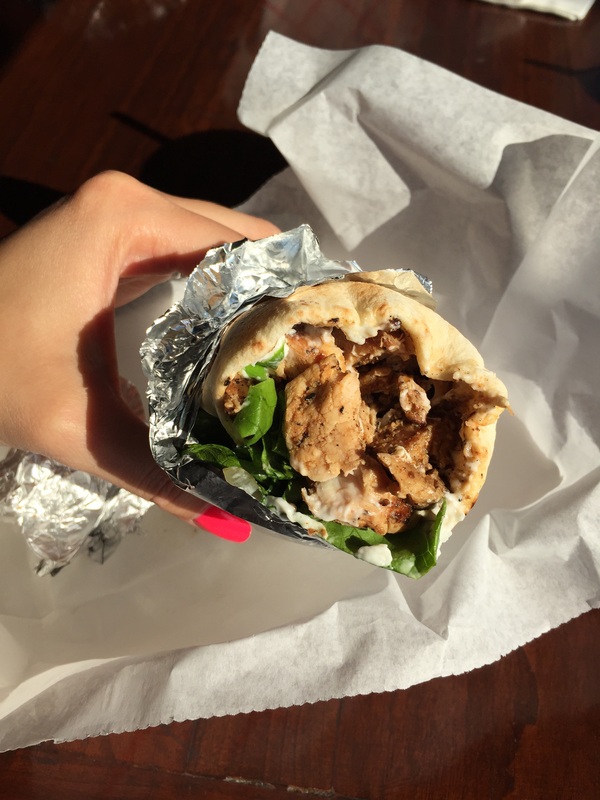 Having gone to school in Dearborn, where there is a very large Arabic community, I still whole heartedly concede that Bucharest still has THE BEST Chicken Shawarma sandwiches EVER. The meat is soooo tender with an amazing char. The ingredients perfectly complement the chicken. This is a STAPLE in Detroit. Stop over during any game day, Lions, Wings, Tigers, and it is sure to be completely packed. Korean BBQ at it’s finest. I’ve been to a lot of K-bbq places over the years, but this is by far, the best. Their meats are marinaded with fantastic flavors, their ban chan (side dishes) are always delicious and consistent. My family has been going there for more than a decade, and their quality has done nothing but gone up. Every person I have recommended this restaurant to has fallen in love with it. Great flavors, great quality, and reasonably priced. 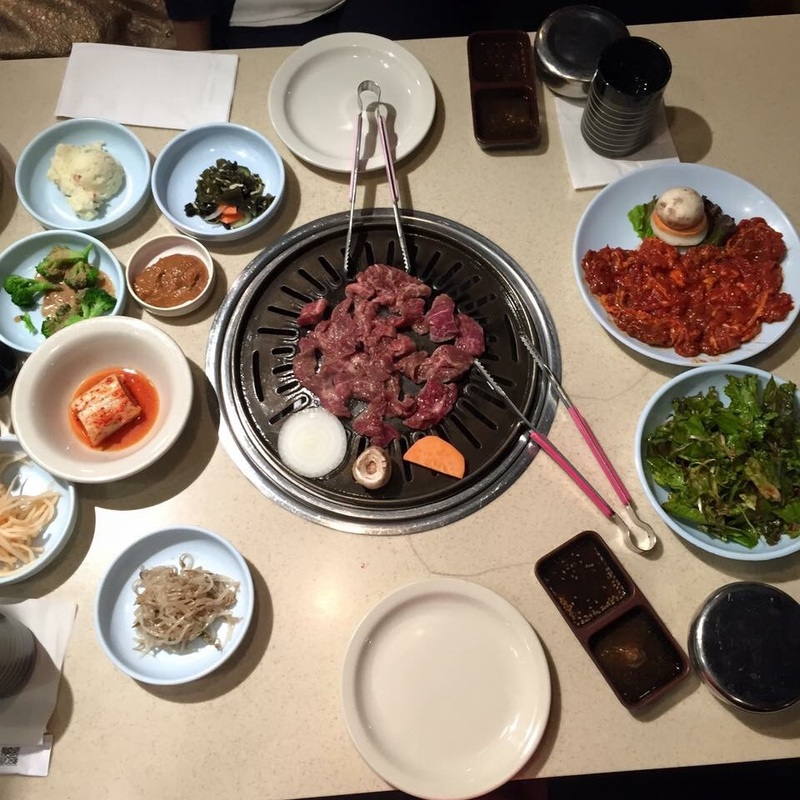 If you’ve ever been curious to try Korean BBQ in Michigan, this is definitely the hot spot. Their Kalbi, Bugolgi, and Spicy Pork are all 5 star options, in my opinion. You grill it to your liking, and the marinade helps seal in a good char to the meat. The other main entrees on the menu are also very delicious. I don’t have any photos, and always forget the names, but if it sounds good, TRY IT! I’ve never been disappointed with ANY dish I’ve ever ordered. 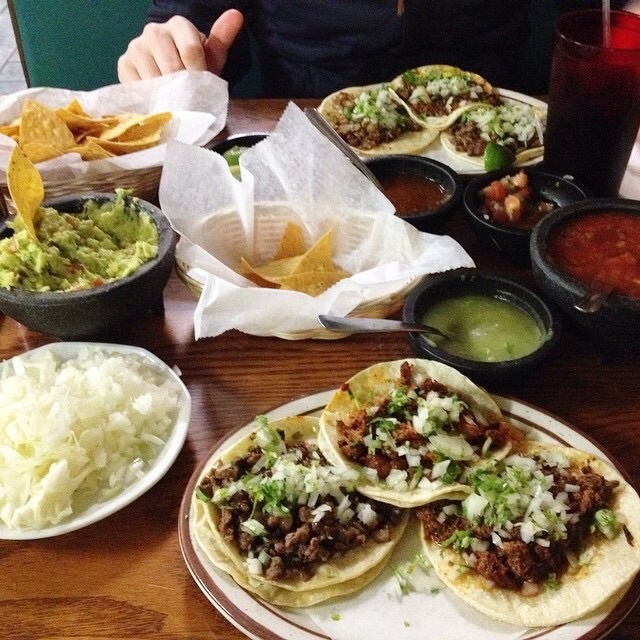 Ever crave Mexican food and not know where to go? Scared to go to Mexican Town because it is overwhelming with all the various restaurant options? Fear no more, check out Taqueria Lupita’s! Side note: it’s cash only. The meat options are true to standard Mexican fare; my husband loves beef tongue and head/cheek. The tacos are fresh; fresh tortillas, fresh cilantro, onions, and freshly cooked meat. Their pozole is scrumptious, and they serve horchata! All in all, one of the better taquerias in the area. Not much to say about this place, other than how delicious the food is! I would also add that the experience at Bucharest is a bit unique in that there is a restaurant attached to a bar so that if you are craving a delicious craft beer with your shawarma, you have plenty of local and not-so-local options. Great environment right in the heart of the entertainment district of Detroit. Also, Taqueria Lupitas is kind of a dive environment so people should be prepared for that before visiting.